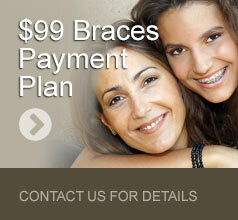 All aspects of our dental treatment offer a cosmetic and functional component. Thanks to advances in modern dentistry, teeth can be restored with tooth coloured resins and ceramics. These quality restorations are strong, durable, metal free and are bonded to tooth structure. Dr. Szmitko and her team of dental professionals, here at Forest Green Dental Care in Newmarket, feel they represent an excellent investment in your long-term dental health. As well, Dr. Szmitko offers composite fillings that match the shade of your tooth and are now a great alternative to silver-mercury amalgam. 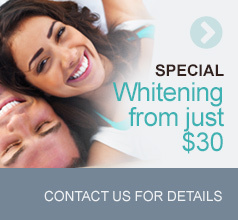 Porcelain and composites offer strength, durability and give you a beautiful white smile! Even the simplest dental treatments need to be performed with an eye for aesthetic detail. Dr. Szmitko and her team of dental professionals, here at Forest Green Dental Care in Newmarket treat all phases of dentistry; with the understanding that the whole person is being treated, not just their teeth. With Dr. Szmitko, you can feel comfortable knowing you are in good hands, whether it’s to meet your basic dental needs or designing a new smile, doing metal free restorations or filling in missing teeth or spaces. Dr. Szmitko uses her artistic ability to create restorations that look and feel natural. Cosmetic dentistry, at its finest, is the blending of the science of dentistry with the artistic abilities. If you are considering a subtle enhancement to your smile or a dramatic transformation, trust Dr. Szmitko to deliver high caliber results. Dr. Szmitko combines her skill with technology and quality materials to delight patients who present with a wide range of aesthetic and functional concerns. Correcting or improving the shade, shape, spacing, height or width of your teeth can transform your smile into an amazing asset! Treatment options including veneers, crowns, bridges, implants, orthodontics and whitening are selected to achieve beautiful, natural, comfortable, lasting results. As an example, Dr. Szmitko may utilize crowns to create a beautiful smile and protect your teeth. Our teeth are composed of two main parts, the crown is the part visible above the gum and the root is the part below the gum that holds your tooth firmly in your jawbone. If the crown of your tooth becomes weakened by decay or fractures or if it is stained or uneven, it can be restored and strengthened by an artificial crown. Dr. Szmitko and her team of professionals here at Forest Green Dental Care take great pride in helping all of our patients to have the healthiest most beautiful smile possible. If you have any questions about any type of cosmetic restoration or procedure, please feel free to speak with one of our Forest Green Dental Care team members today.